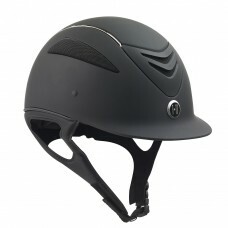 One K™ Defender Riding Helmets boast the perfect synergy between advanced technology and aesthetically pleasing design. With enough features to appeal to those seeking everything a horseback riding helmet could possibly offer, wrapped in a package that traditionalists can appreciate, One K™ has the best of both worlds. Certified to ASTM and CE EN standards. 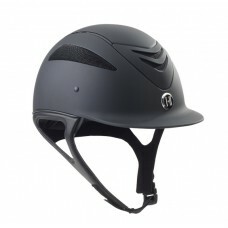 The Defender Chrome Stripe Riding Helmet features matte Polycarbonate and Advanced ABS Composite out.. 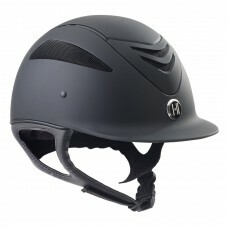 The Defender Riding Helmet features glossy or matte Polycarbonate and Advanced ABS Composite outer s.. Finally, a One K™ for smaller riders. Now in Junior sizing, they offer the same protection, quality .. 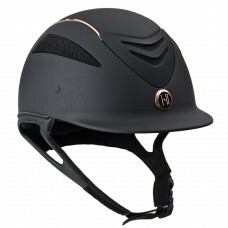 The Defender Rose Gold Stripe Riding Helmet features matte Polycarbonate and Advanced ABS Composite .. 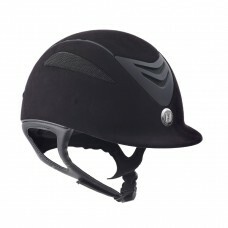 The Defender Riding Helmet features a Chamude® synthetic suede covered Polycarbonate and Advanced AB..